The road from The Trossachs Pier to Aberfoyle is called the Duke’s Pass. Leave Aberfoyle by A821(Trossachs Road) which climbs steeply past the disused toll house to the Pass. There are extensive views over the Vale of Mentieth, and towards Ben Lomond. The road reaches a summit under Craig Vad, with views of Ben Ledi, and then descends to the Easan Grumach from which there is a glimpse of Loch Drunkie. Ben Venue then comes into sight with Ben A’an, above Loch Katrine. The road descends past another toll house to Loch Achray whence there is a road junction for the Trossachs Pier. The road can obviously be traversed in either direction. There has always been a track (see MacCulloch’s remarks below), but it was after the arrival of the railway in 1882 that the Duke of Montrose leased the land for a proper road to be built. This road was used for coaches between Aberfoyle and the Trossachs. The Coach from Aberfoyle to the Trossachs. Nature made it an exquisite spot, particularly beautiful in spring and autumn, with its foliage of birch, hazel, and dwarf oak in a setting of purple crags. In the height of the season, however, it is congested – in spite of road widening – with cars and tourists, itinerant pipers, beggar children, and the like. On reaching the Aberfoyle inn we found it ‘Sacrement Monday’, when all the surrounding Highlands were eating and drinking, and bargaining, and love-making, and quarrelling, as if on a fair day, in the house and outside the house, after the religious service of the ‘occasion’ was over. we had to lie more than an hour on a grassy bank of the Forth, till the lass of the inn contrived to clear a room of therevellers for our accommodation, and gave us possession, cautioning us at the same time to keep out door locked against all comers, except herself with our dinner. After dinner, however, a hill-farmer came rattling at the door, and enquiring for our new acquaitances. He was scarcely admitted when fresh knocking announced others to enquire after him: then came fresh enquires for them, till at length, as the lass had foretold, we had twenty Highlanders and more, all seated around us against the wall, and quaffing pure whisky circulated rom man to man with an oft-replenished bottle and one wine-glass. Next morning we crossed the high, broad, rough wild hilly land which divides the upper valleys of the Forth and Teith, and arrived at the Trossachs. The Government sanctioned the improvement of the Duke’s Road in order to provide work for unemployed miners from Stirlingshire, Dunbartonshire, Lanarkshire and Ayrshire in 1931-32. Perthshire landowners opposed the scheme at first on the grounds that it was a waste of public money and would lead to a loss of amenity. After some delay they were compelled to acquiesce. An intriguing feature of the scheme was that, in order to make it labour-intensive, as few mechanical aids as possible were to be used. The structures which were afterwards used as the Youth Hostels at the Trossachs, and at Ledard were part of a camp built at the head of Loch Achray to house the workers. There were strikes in protest at low wages in the summer of 1931, but the work which had been started in May 1931 was completed by October 1932. Great attention was paid to amenity: heather borders were laid out, and there was a ‘hiker’s path’. Rob Roy’s ‘Well’ near the summit was left in its original state. The road, formerly restricted to horse-drawn vehicles and cyclists, soon became a favourite, as a testing route which ordinary drivers could tackle, with the rapidly increasing number of private motorists of the nineteen-thirties. It was one of the few roads in Britain where hairpin bends suggestive of the Alps could be found. 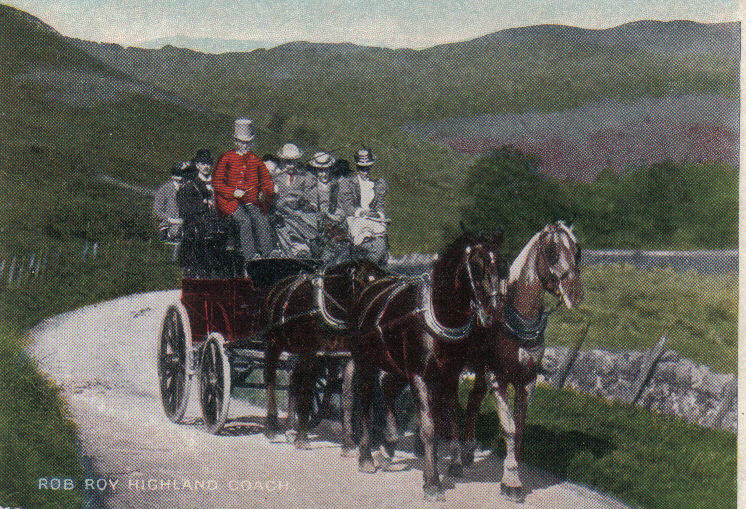 The four-in-hand coaches were soon succeeded by motor coaches engaged in the Trossachs Tour. The old toll houses in Aberfoyle and at Loch Achray are still to be seen. Further improvements were made when the Forestry Commission selected a site above Aberfoyle for its visitor centre for the Queen Elizabeth Forest Park. David Marshall Lodge was built in 1958 and it provides access to the delightful glen of the Allt a’ Mhangan (Allt Vingen), the tributary of the Forth which tumbles down from Craig Vadh in two dramatic waterfalls. The hazards of orthography are admirably illustrated here: James B. Johnston asserts that the burn is ‘The burn with overhanging boughs’; the Forestry Commission that it is ‘The burn of the Little Fawn.’ The main waterfall was for long known as MacGregor’s Leap, but Cunninghame Graham calls it ‘The Grey Mare’s Tail’ and, being one of those falls notably wide at the top and narrow at the bottom in most conditions, it does resemble a mare’s tail. Whatever the name means the place should not be missed. No one who crosses the Duke’s Pass should omit the short walk to Tom an-t-Seallaidh (Watch Hill) near the summit. It is from this point that the force of Chauncey Townshend’s remarks can be appreciated. Percy Wentworth describes the road in 1821. The view from Creag Vadh, though certainly very fine, is hardly so much so as the guide books of the District would have one believe. however, I have seen few landscapes that surpass it in sublimity and grandeur; so much are these its characteristics, that many patches of quiet and beauty that are interspersed, are lost in the features which surround them. “It offers few temptations; except to those who may wish to visit this wild country on account of its historical recollections. There is a road, across the hills to this latter place [Aberfoyle]: practicable, I must not say more, even for gigs, but in no respect interesting. We started in a drosky (I do not know whether this is the right name of the vehicle, or whether it has a right name, but it is a carriage in which four persons sit back to back, two before and two behind), for Aberfoyle. The mountainside ascends very steeply from the inn door, and, not to damp the horse’s courage at the outset we went up on foot. the guide book says the prospect from the summit of the ascent is very fine; but I really believe we forgot to turn round and look at it. all through our drive, however, wev had mountain views in plenty, especially of the great Ben Lomond, with his snow covered head, round which, since entering the Highlands we had been making a circuit. Nothing can possibly be drearier than the mountains at this season; bare, barren and bleak, with black patches of withered heath variegating the dead brown of the herbiage on their sides; and as regards trees the hills are perfectly naked, There were no frightful precipices, no boldly picturesque features on our road; but high weary slopes, showing miles and miles of heavy solitude, with here and there a highland hut, built of stone and thatched; and, in one place, an old gray ruinous fortress, a station of the English troops after the rebellion of 1745: and once or twice a village of huts, the inhabitants of which, old and young, ran to their doors to stare at us. I do not remember what o’clock it was, but not far into the afternoon, when we reached the Bailie Nichol Jarvie Inn at Aberfoyle; a scene which is much more interesting in the pages of Rob Roy than we found it in reality. Here we got into a sort of cart, and set out over another hill-path, as dreary as or drearier than the last, for the Trossachs. on our way we saw Ben Venue, and a good many other famous bens, and two or three lochs; and when we reached the Trossachs, we should probably have been very much enraptured if our eyes had not already been weary with other mountain shapes. but, in truth, I doubt if anyone ever does really see a mountain, who goes for the set and sole purpose of seeing it. nature will not let herself be seen in such cases. You must patiently bide her time; and, by and by, at some unforseen moment, she will quietly and sudenly unveil herself, and for a brief space allow you to look right into the heart of her mystery. We found that a bus left Glasgow for Aberfoyle at 5.15 pm, and that a bus left Aberfoyle for Glasgow at 6.55 am. the times could not have suited better. after a rush from business we eventually got to Aberfoyle. there we dallied a while before starting north by the magnificent Duke’s Road; soon we were following the path by the burn instead, which cuts out all the zig-zags. It was fine to get away from the city like that, up among the scents of the hills, bracken, bog-myrtle and heather, with glorious evening clouds in the sky. We wandered on past the quarries and then downhill, to where the ever welcome SYHA sign indicated the path to Brig o’ Turk hostel. it was about ten o’clock when we reached that hostel situated on the south side of the river near Loch Achray and overlooked by Ben Venue. Right there in the very heart of the Trossachs, it has been one of the most popular hostels in Scotland since its opening in 1932. It was August and the hostel was busy. Most of the visitors were from England though there was a party of Americans and a lad from Holland. Some were playing cards. Others were writing up diaries. There was a babel of voices. With ten different parties preparing supper it was quite a delicate operation to edge our pan of soup on to the already crowded stove. We were travelling light and that, with fruit and biscuits, made up our evening meal. Then we discovered that neither of us had brought a watch with us so we induced another visitor to hang up his watch between our bunks when we turned in at 11 pm. My next recollection was of a torch shining on my c face and a hand from the upper bunk pointing to the time on the watch – 1.55 am. we rose quickly, folded blankets and packed ruc-sacs. By 2.10 am we were pulling on our boots in the porch and five minutes later were trudging along the road with sleep not yet out of our eyes. From knowledge of our own pace on the hills, the distance to be covered and the height to be climbed, we calculated that just under five hours would take us over Ben venue, along the ridge of hills, and down to Aberfoyle. Stars were reflected in the dark waters of Loch Achray. There was absolute stillness with the black outline of great firs silhouetted against the sky. No other humans were afoot in the Trossachs region that morning. The only sound was of hobnailed boots striking metalled road: now and then sparks flew up. Few have walked through the world famous Trossachs at such an hour. Beyond the hotel we took the road to the Sluices and then the path to Bealach nam Bo (The Pass of the Cattle). This was the route of Rob Roy and his bold raiders of old; often stolen cattle were hidden in the caves around. We left the path for the steep northern slopes of Venue. Lack of sleep and our early breakfastless start soon took its toll and our progress was slow. It became lighter as we climbed higher and we could see the whole chain of lochs, Venachar, Achray and Katrine spread out below us. The final peak loomed ahead. it seemed quite near but distances were deceptive in that early morning light. At last we reached the cairn and saw the mountains and lochs beyond. Ben Lomond seemed quite near but did not look impressive when shorn of its broad shoulders so familiar to us in the south. It was about 4 am. To the east were the Ochil Hills, the Fintry Hills, the sharp outline of Meikle Bin and Dumgoyne as sentinel of the Campsies. away to the south a glimpse of the Firth of Clyde; to the west the Arrochar hills with morning clouds in the valleys and the peaks clear above them; to the north Ben Ledi and the hills beyond Loch Katrine. A cold wind sprang up and we had to seek a sheltered spot to munch chocalates and biscuits. after that and from the sheer exhilaration of being on the tops so early in the day, we felt fine and travelled fast down to the bealach and up to Cgeag Tharsuinn. The route from there was right aloong the ridge of hills above Loch Ard. It was easy moor walking, always towards the east and the sunrise. But nearer was the copsewood gray. A very fine bright warm morning. We decided to go on an expedition, but not to Loch Lomond, as we should have to start so early. Breakfasted in the drawing room with Louise and Beatrice. Then writing, etc. At twenty minutes to twelve I started in the sociable with Louise, Beatrice, Jane Churchill and Colonel Ponsonby and Brown on the box, and drove (excellent post horses, always only a pair), to Callander, but turned right short of it, and went on some little way. On coming to the top we saw Ben Ledi, a splendid hill; to the north Ben Vorlich, and to the east the heights of Uam Var, a pink heathery ridge of no great elevation; andi in the distance rising up from the horizon, Dumyat, and the Wallace Monument on the Abbey Craig, near Stirling. We went across a moor and soon passed Loch Ruskie, quite a small lake. The country here is rather lowland but as we proceeded it was extremely pretty, with very fine trees and cornfields, and harvesting going on; and soon after that, descending a hill we came on the “Loch” of Menteith (the only loch in Scotland which is ever called a lake). it reminds one very much of Loch Kinnord near Ballater, and very low blue and pink hills rise in the distance. There are two or three islands in it; in the large one, Inchmahome, you perceive among the thick woods the ruins of an ancient priory. Queen Mary lived there once and there are monuments to the Menteiths to be seen upon it. To the right we passed the ruin of Rednock Castle, and on the left the gates of the park of Rednock, with very fine large trees. Where the majestic Grampians spread. Of frowning Rusky’s antique halls. The old castle of Rednock and its successor Rednock House at the foot of the pass have a highly significant literary connection. Susanna Blamire (1747-94) was a Cumbrian poet whose sister, Sarah, married Col Thomas Graham in 1767. 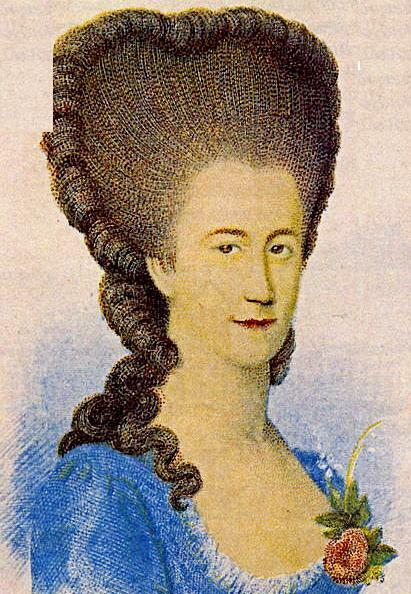 Between 1767 and his death in 1773 Susanna spent much time in Scotland with her sister. One of her lost poems celebrated the ‘Lake of Menteith’ while several others became famous Scottish songs. The DNB puts it thus: “As a song-writer she deserves to rank very high. She preferred to write songs in the Scottish dialect, and three at least of her songs are exquisite, What ails this heart o’ mine?, And ye shall walk in silk attire (The Siller Croun), and The Traveller’s Return. Another beautiful song, ‘The Waefu’ Heart’, is, with great probability, attributed to her. Of the four songs The Traveller’s Return may be the least well known, but it is the most interesting. Students of folk song suggest that the air to which Susanna Blamire set When silent time wi’ lightly foot is probably the original of Burns’ tune for “Auld Lang Syne”. In 1871, Sarah Tytler and J. L. Watson included her in The Songstresses of Scotland, asserting that she “adopted Scotland and the Scotch with enthusiasm, and thenceforth wrote Scotch songs like a Scotchwoman” Hugh MacDiarmid stated that she wrote some of the finest Scots verse ever written by any non-Scot, fully equal to all but the very greatest work of the same sort ever achieved by any Scots poet — praise indeed. Susanna was very friendly with the Grahams of Gartmore as well. Sir Walter Scott (1771-1832) is one of the giants of Scottish literature. 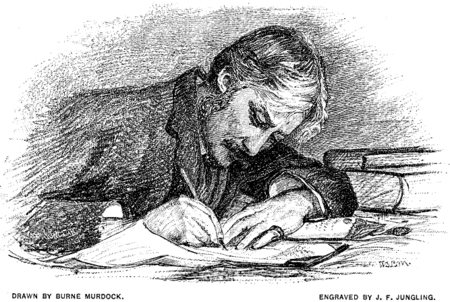 He was a novelist and poet, and as young man he was actively employed as a lawyer in the district. His greatest creative impetus probably came from the Borders where he lived for much of his life, but he had an intimate knowledge of, and love of parts of the Highlands. 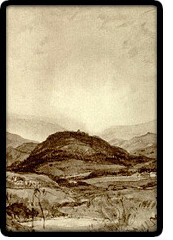 He made an early acquaintance with Perthshire when engaged in an eviction, but revisited Loch Lomond and the Trossachs frequently to see two friends, his fellow advocate Hector MacDonald Buchanan at Ross Priory on Loch Lomond, and Major Buchanan at Cambusmore beside the Keltie near Callander. He was also well known to Patrick Graham, the then Minister of Aberfoyle. The Earls of Menteith, you must know, had a castle, situated upon an island in a lake, or loch as it is called of the same name. But though this residence, which occupied almost the whole of the islet, upon which its ruins still exist, was a strong and safe place of abode, and adopted accordingly to such perilous times, it had this inconvenience, that the stables and other domestic offices were constructed on the banks of the lake, and were, therefore, in some sort defenceless. It happened upon a time that there was to be a great entertainment in the castle, and a number of the Grahams were assembled. The occasion, it is said, was a marriage in the family. To prepare for this feast, much provision was got ready, and in particular, a great deal of poultry had been collected. While the feast was preparing, an unhappy chance brought Donald of the Hammer to the side of the lake, returning at the head of a band of hungry followers, whom he was conducting homewards to the West Highlands, after some of his usual excursions in Stirlingshire. Seeing so much good victuals ready, and being possessed of an excellent appetite, the Western Highlanders neither asked questions, nor waited for an invitation, but devoured all the provisions that had been prepared for the Grahams, and then went on their way rejoicing through the difficult and dangerous path which leads from the banks of the Loch of Menteith, through the mountains, to the side of Loch Katrine. The Grahams were filled with the highest indignation. The company who were assembled at the castle of Menteith, headed by the Earl himself, hastily took to their boats, and disembarking on the northern side of the lake, pursued with all speed the marauders and their leader. They came up with Donald’s party in the gorge of a pass, near a rock, called Craig Vad, or the Wolf’s Cliff. The battle then began, and it was continued with much fury till night. The Earl of Menteith and many of his noble kinsmen fell, while Donald, favoured by darkness, escaped with a single attendant. The Grahams obtained, from the cause of the quarrel, the nickname of Gramoch an Garrigh, or Grahams of the Hens. Scott sets this incident in the Duke’s Pass. Others state that it took place in the Pass of Glenny immediately above the Loch of Menteith where an old Roman road leads to Loch Vennacher. One of the Earls of Menteith – which one, the tale does not condescend to say – was entertaining a company of friends in the halls of Inchtalla, when it was found that the supply of liquor was running out. Late though it was, he summoned his butler and ordered him to set off at once for Stirling, procure the necessary supply, and be back as early as possible the next day. The butler immediately took his cask, and unmooring the boat proceeded to row himself to the shore. As he neared the shore he observed two ‘honest women’ among the reeds at the margin. watching them, he saw each cut a bulrush for herself, then crying the one to the other ‘Hae wi’ ye!’, they mounted their bulrushes and immediately rose sailing into the air. The butler, seized with a sudden impulse, also cut a bulrush, and shouting ‘Hae wi’ ye!’ found himself flying at lightning speed through space. Together they descended in the palace of the King of France, where, being invisible, they enjoyed themselves in their several ways. The butler, in some mysterious manner, never let go his cask; and finding himself in the royal cellar he replenished it with the choicest wine. But that was not all. In case the truth of the marvellous story of adventure he had to tell might be doubted, he resolved to carry off a memento of his visit, and so laid hands on the King’s own drinking cup of silver. Then with the cup and barrel, getting astride of his bulrush again, another ‘Hae wi’ ye!’ brought him back to the servants’ hall at Inchtalla, where he was found by the Earl in the morning sound asleep beside his barrel. The Earl, thinking that he had drunk too much and neglected his message, awoke him and began to reproach him for his dereliction of duty, when the butler, begging his lordship’s pardon, informed him that he had got the wine, and much better wine than could be found in the burgh of Stirling. Then he told the whole story of his adventure, and in confirmation, not only pointed to the full cask, but handed over the valuable silver cup he had brought with him. The earl believed, or affected to believe the story, and that day entertained his guests with a wine the quality of which astonished them all. The silver cup, with the fleur de lys and the royal arms of France also graced the board. Alexander Scott (c1515-1583), the lyrical poet of the first Scottish Renaissance, was appointed organist at Inchmahome in 1548. 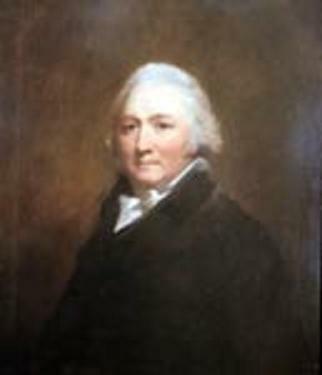 This was a result of his connection with Robert Erskine through whom this Scott was also connected with the exiled court of Queen Mary. The Lake of Menteith, on the edge of the Highlands ‘ is lovely rather than beautiful, and is a sort of gentle prelude, in the minor key, to the coming glories and intenser charms of Loch Ard and the true Highlands beyond’ [Dr John Brown]. Inchmahome, the Isle of Rest. A further, at one time obscure, artistic visitor to the district was Edith Holden (1871-1920) who spent several happy summers in Perthshire, and was particularly appreciative of the Lake of Menteith. She records one visit in the best-selling Country Diary of An Edwardian Lady. The ruined Priory of Inchmahome is one of the most delightfully situated of all the historic monuments in Scotland. In the aisle are the graves of the ‘Gaucho Marxist’, Robert Bontine Cunninghame Graham (1852-1936), Cunninghame Graham, whose body was brought back from Argentina, and of his wife, Gabriella. She was a poet admired by W.H.Hudson, and a religious historian. 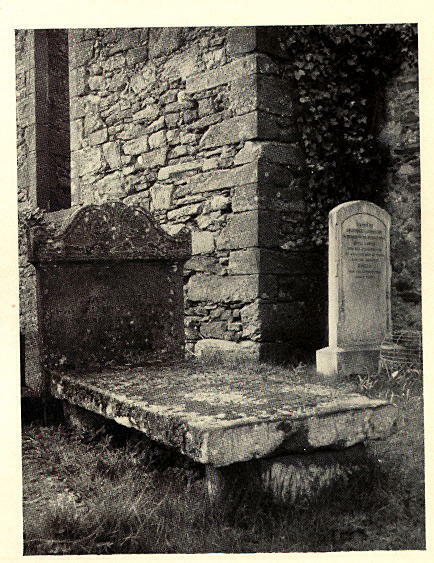 Her grave was dug by Cunningham Graham himself, whose own remains rest among those of his ancestors in this atmospheric place. There was a notable turn out for his burial in April, 1936, including many of his political and literary associates: James Bridie (O.H.Mavor), Wendy Wood, Compton MacKenzie, Alisdair Alpin MacGregor, Helen B. Cruickshank, and others. The distinguished literary critic, William Power, delivered his funeral oration. Wolves roamed the hills, as the name Craig Vad would seem to show. Around the desolate Loch Reoichte, perhaps, the Caledonian bull has fed, the wild boar harboured; and yet the ground was more secure than nowadays, for fewer perils from broken whisky bottles and sardine tins lurked in the heather. And how shall sardine tins offend? Are they not, after all, a sign natural and visible, of the spirit of the age, and did not Providence place them (most likely) in our path to show us something? What if we cannot see it, and only cut our feet upon the bottles and jagged tins? No doubt the cross, which, seen in the sky, converted Constantine, was there before; and many another Roman general was not so much deep-dyed pagan as merely unobservant. Hard by Craig Vad is the desolate hill tarn known as Loch Reoichte. In the district there are many of these curious black hill-lochs, generally in peaty hollows, with the water black as jet, peopled with little muddy trout, and often overgrown with water-lilies. Each has its legend, as in duty bound. Loch McAn Righ, close to the Lake of Menteith, is sacred to the memory of a king’s son, who, in the days when princes of the blood-royal perambulated the world at a loose end and unattended, almost lost his life whilst chasing wild deer, by his horse bogging down with him. Tradition hath it that one Betty or Betsy, for there is room for doubt on the forms of the name that the royal maiden bore, extracted him like a royal cork, from the mud and saved his life. The field is known as Achnaveity, said by Gaelic speaking men to mean the field of Betty. Tradition is in error in having woven no romance about the King of Scotland’s son and Betty, but then how seldom tradition, on the whole, misses its opportunities in matters of the sort. Anyhow, nearby the field is the ‘laroch’ of the chapel of Arnchly, one of four chapels connected with the monastery of Inchmahome, so possibly the nearness of the sacred edifice prevented scandal making free with the Prince’s or Betty’s name. Other little lochs preserve their legend, as the Loch at Duchray Castle, said to be unfathomable, and the Tinker’s Loch (Lochan Cheird), above the hills of Aberfoyle, in which the mysterious water- bull of the Highland legends was said to dwell. Among them all for desolate beauty Loch Reoichte stands first. The old house of Gartmore, in the district of Menteith, was built, as tradition says, by the grandfather of the brothers Adam, somewhere about the year 1680. With it low flanking wings, its perron and heavy mouldings over the windows and the doors, it was a perfect specimen of a Georgian mansion of the time. In the days of the poet’s youth, before extensive planting was the fashion in the north, it must have looked a little bare, although the great beech avenue was possibly growing up. Rough woods of scrubby oak sheltered it from the north. The six great yews which I remember as a child were probably old trees when the poet was a boy. Great rushy parks led down to Flanders Moss, that had once been a shallow inland sea, as said tradition, and flowed up to the hill of Gartmore, where a huge stone, known as Clach nan Lung (the stone of the waves) was there to testify. Looking out of the windows of his home, to the left of the tall cedars, then perhaps just planted – they are shown as little trees in the drawings of the time – he could see the Grampians. The silvery waters of the Lake of Menteith, dotted with its two dark wooded islands, shrouding the Priory of Inchmaholme and the Castle of Inch Talla, the fortress of the Earls of Menteith, the poet’s ancestors, and with the fir-clad promontory of Arnmauk cutting the lake almost in two halves, lay just below the hills. The moss that flowed right from the Hill of Gartmore through the Carse of Stirling to the sea bounded the lake upon one side. Upon the other rose Ben Dearg and Ben Dhu. Between them ran the Pass of Glennie, an old Fingalian track, whose stones, polished of yore by generations of feet shod in deerskin brogues, even today show white amongst the heather in places now disused, that once it traversed like a dull silver streak. Only two miles away to the north-west by the hill-road behind the Drum, crossing the burn where the stones form a rude bridge, lay Aberfoyle with the change-house immortalised by Walter Scott, and half a dozen black Highland cottages, all thatched with rushes or with ling. A rough hill-track skirting the waterfall, known as the Grey Mare’s Tail, passing Craig Vadh and coming out upon the shore of Loch Achray, led to the Trossachs, in whose fastnesses lurked broken men from all the highland clans. Still farther westward rose Ben Lomond, looking exactly like Vesuvius, with its perfect cone and its top shaped crater-wise, when the white mists curled round its crest, steaming and billowing. A dividing line, almost as abrupt as that between Portugal and Spain upon the Minho when Tuy and Valenca still glare at one another in mutual incomprehension, was drawn between the denizens of Gartmore House and the wild Highlanders, who lived only a mile or so away in the recesses of the hills. In his Minstrelsy Scott stated that the verses were taken down from recitation, averred to be of the age of Charles I. However, he went on to say that since their publication in the first edition, he had been assured that the late Mr.Graham of Gartmore composed them. Robert Graham made several significant literary friendships. Hector MacNeil (1746-1818), the minor poet, was a frequent visitor to Gartmore 1786-90 when he lived near Stirling. Graham almost certainly met him in the West Indies, where he also formed a lifelong connection with Tobias Smollett (1721-71). Robert Burns (1759-96) thought Graham “the noblest instance of great talents, great fortune, and great worth that ever I saw.” John Leyden (1775-1811), the scholar who collaborated with Scott on The Minstrelsy dedicated a book of poems to a Miss Graham of Gartmore, presumably one of Graham’s three sisters.